With Battlefield V coming out soon, DICE puts Battlefield 1 on sale for $6.23 or €4.99 for the standard edition and throws in the Battlefield 1 Premium Pass that includes four themed expansion packs for free. The Premium Pass includes access to 16 multiplayer maps, new game modes, and operations. The Premium Pass also enables Elite Classes and more in four themed digital expansion packs. Premium Pass will be FREE for a limited time only. Grab it before September 18th. 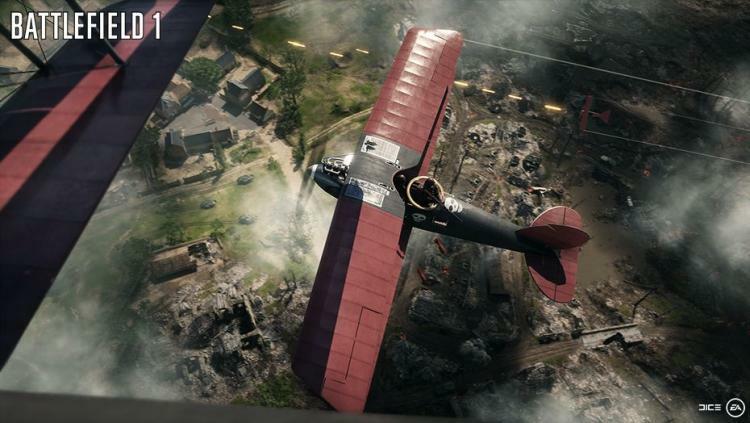 Battlefield 1 takes you back to The Great War, World War 1, where new technology and worldwide conflict changed the face of warfare forever. Take part in every battle, control every massive vehicle, and execute every manoeuvre that turns an entire fight around. The whole world is at war – see what’s beyond the trenches. Grab a copy of Battlefield 1 and the free Premium Pass here.